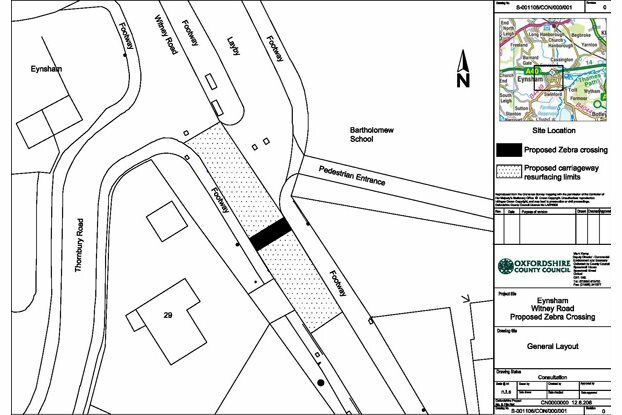 The County Council proposes to install a zebra crossing on Witney Road, to provide a safe pedestrian facility for children attending Bartholomew School. See plan above; dotted area shows proposed re-surfacing limits. 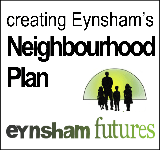 To help the decision whether or not to proceed with this proposal, all comments would be much appreciated (both for and against) by Friday 30 January. Should approval for the crossing be granted, construction is expected to take place during July / August 2015. The Parish Council agreed a contribution to the Witney Road scheme, subject to conditions, in February 2014. It returns for discussion on 3 February 2015.